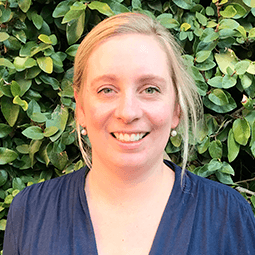 Sarah Ashley-Jones graduated from Griffith University, Queensland in 2008 with a Masters of Nutrition and Dietetics and shortly thereafter completed a Certificate in Paediatric Dietetics. Sarah commenced her career as a dietitian at the Royal Hobart Hospital during which time she started specialising in paediatric nutrition. In 2010, Sarah was successfully appointed at the Royal Children’s Hospital, Melbourne where she proceeded to develop her skills in a variety of subspecialty areas relating paediatric nutrition including gastroenterology, neonatology, oncology, general medical, tube weaning, endocrinology and complex child development. Sarahs’ particular interests include cow’s milk protein allergy, coeliac disease and inflammatory bowel disease. Outside of work, Sarah enjoys spending time with her young daughter, husband and two bordercollies.